These FAQs for garage door repair answer all your queries. Keep reading here. Why has my garage door opener developed noisy operation? Technicians from Garage Door Repair Laguna Beach are often called out to noisy garage doors. Some models can be a little noisy anyway, but excess noise can be a good indication of a potential problem. In many cases, the noise is caused by loose fittings or components which need lubrication. However, excessive noise can also be caused by damage to your garage door track; this is usually accompanied by jerking movements when the door is in motion. My garage door will sometimes open by itself, why? This is not usually a complicated problem. 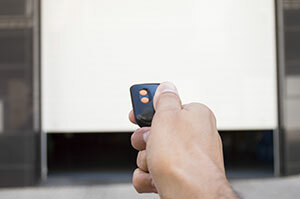 Usually a garage door operating by itself is caused by someone in the immediate area using a similar security system. This can sometimes cause radio interference which is picked up by the receiver of your system. Garage Door Repair Laguna Beach recommends changing the code for your system to prevent this issue from happening. Each model of opener will have different instructions to complete this, so check your manufacturer instructions for specific advice. Is it hard to align garage door tracks? Aligning garage door tracks is not very hard but it is not recommended. They are usually misaligned when bolt and nuts are loose and, in this case, the door may be jammed and the movement of the rollers will be obstructed. So, the secret is to remove the nuts and bolts, align the tracks and then tighten them again. These tasks are best to be carried out by our professionals in Laguna Beach. When is garage door replacement mandatory? The door requires replacement if it is damaged beyond repair. Our specialists explain that this is also recommended when the repairs will be more expensive than the replacement. If the door poses a safety risk, immediate replacement is required. You can select from a variety of new models with different properties and prices. My door is misaligned, can I fix it myself? You probably shouldn’t try any DIY on a misaligned door. Adjusting a garage door takes skill, precision and the right equipment, which you may not possess. If the job is done incorrectly it can be dangerous for the person working on it and anybody who uses it later. DIY can also lead to serious damages which are very expensive to fix.